This is one of my favourite ever art projects! 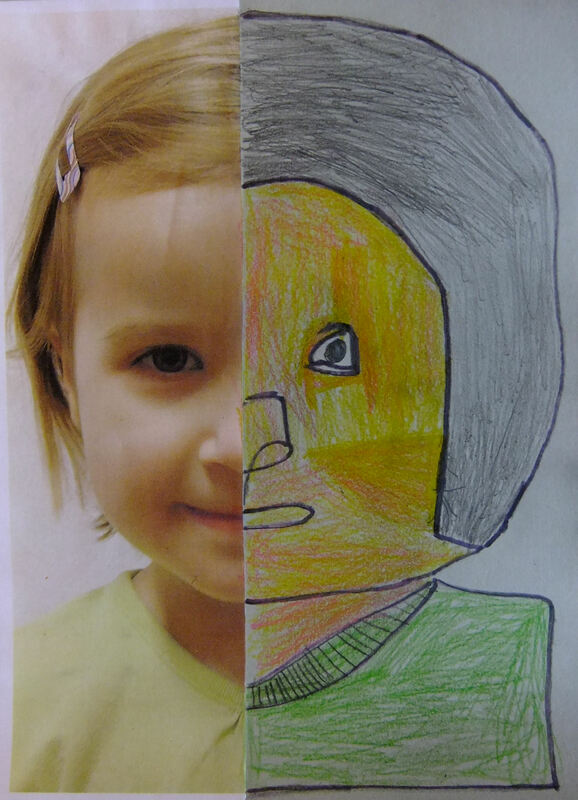 I wanted to teach my older group (aged 4 to 6 years) about the proportions of the human face, by looking closely at their own faces instead of just drawing what they ‘think’ a face looks like – children typically draw the eyes too high up, on the forehead, and the nose in the centre of the face when, actually, the eyes are positioned approximately half-way down. The classic way to teach self-portraiture is to have children study their own reflection but, without access to enough mirrors, a different approach was necessary. Instead, I took a photograph of each child and printed it out A4 size, before cutting it in half and gluing it onto drawing paper. 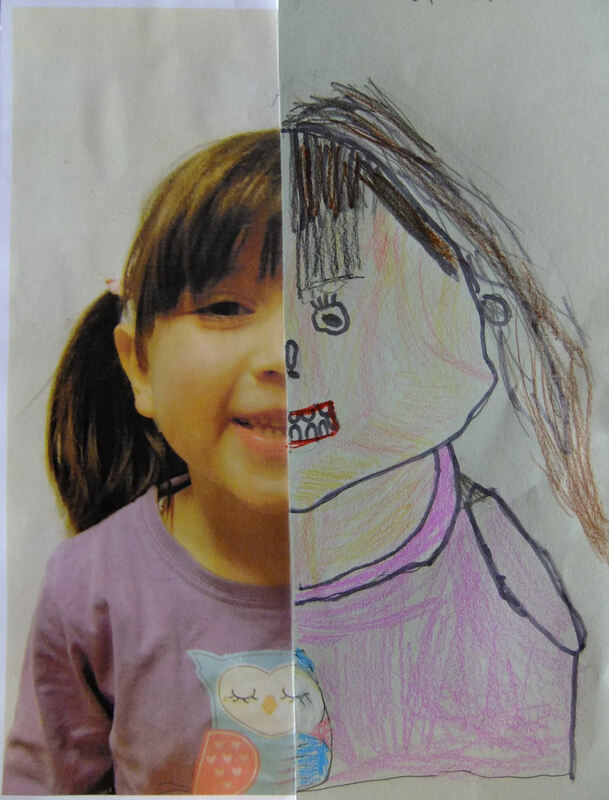 The children were challenged to complete the other half of their face by drawing the ‘mirror image’, taking care to observe their facial features carefully – from the position and shape of the eyes, to the width of the mouth. At first, some children automatically started to draw what they would usually draw, but by the end of the session the whole group had learned to look more closely and draw what they could really see! By doing so they all produced really well-proportioned, accurately observed self-portraits! Once they were happy with their initial pencil drawings, they went over the lines with black marker pens and finished off by adding colour with pencil crayons. 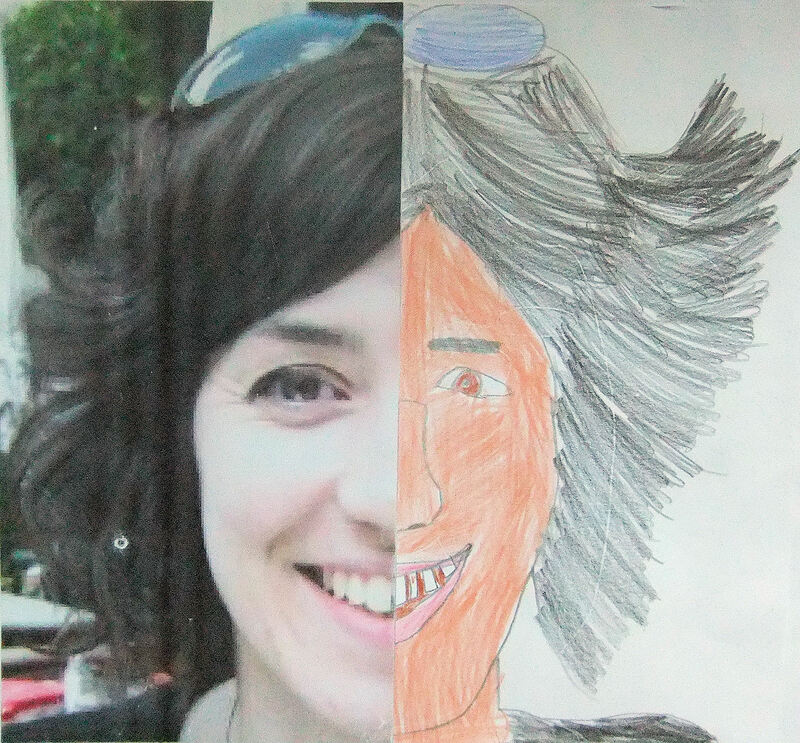 The children who drew the wonderful self-portraits published here, so enjoyed the project that they later used the same technique to draw this portrait of me! A great approach. I think it would work well for adults too!